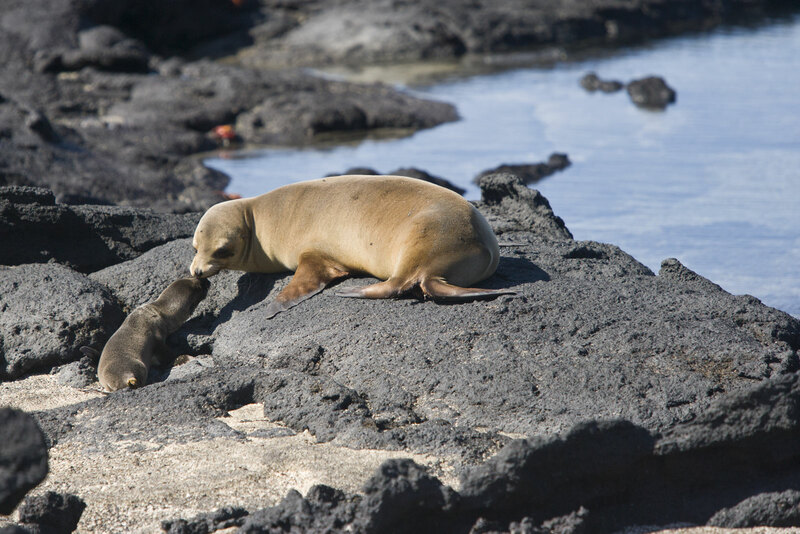 Sail on the most in-depth itinerary possible around the Galapagos Islands, famous for charismatic wildlife unafraid of you or your camera. 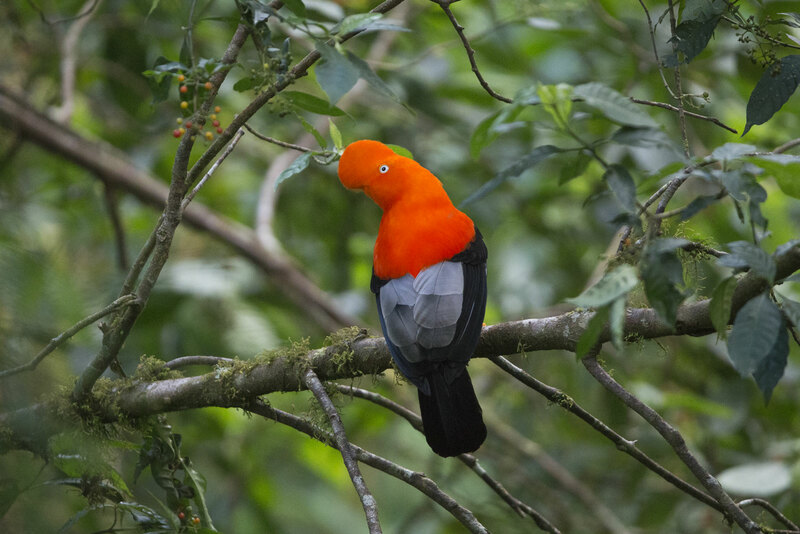 Explore the lush cloud forest of Ecuador before embarking on the Samba for a 15-day voyage around the Enchanted Isles. 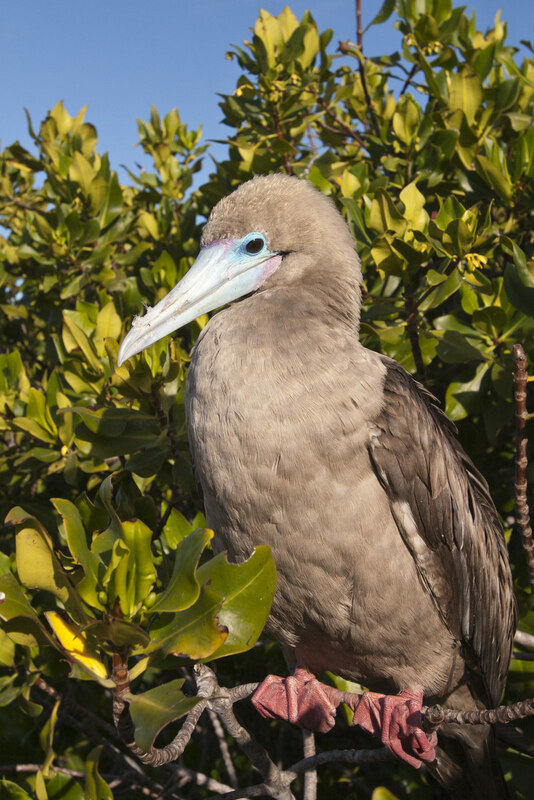 With our expert resident leaders, discover endemic reptiles, tropical land birds, breeding boobies, albatross, penguins, marine mammals, sharks, tropical fish, and much more. This special expedition caters to photographers and wildlife enthusiasts alike, with early and late landings, to take advantage of the best conditions. 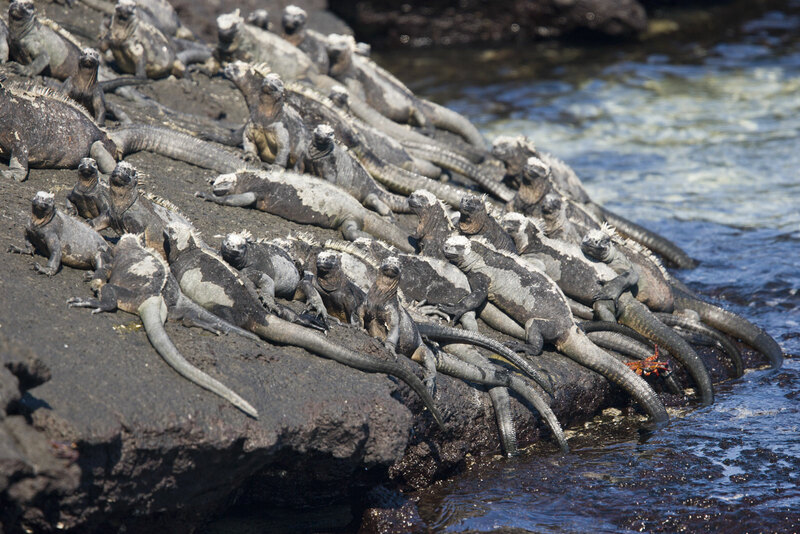 The evolutionary story of the Galápagos Islands has been told many times but only through immersing yourself in its splendor can you truly appreciate the impressive forces that shape nature here and around the globe. 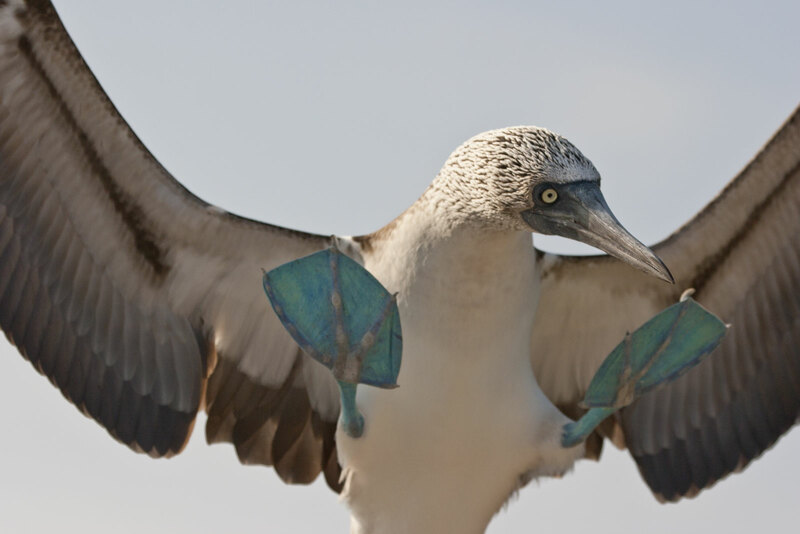 After an early breakfast, you will transfer to the airport for a morning flight to the Baltra Airport in the Galápagos Islands. 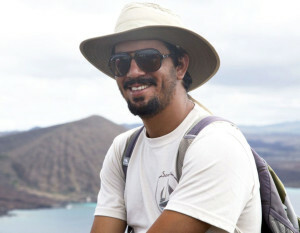 Juan Manuel will assist the group throughout the process. You’ll take a small bus for the short transfer to the dock where the Samba, our home for this glorious adventure, awaits. After introductions and a safety briefing, you’ll make your first landing at nearby Mosquera Islet where the beach rises from the ocean floor with sand grains as soft as sugar. 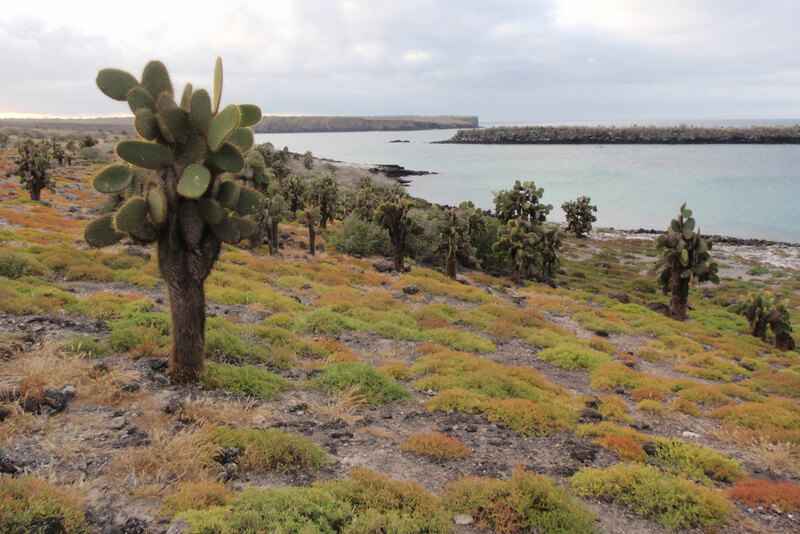 This volcanic uplift, dating back 100,000 years, is home to Galápagos sea lions, sally lightfoot crabs, and shorebirds. Once back on board, relax with a welcome cocktail and meet all the members of this friendly, professional crew. In the evening, you will travel to Genovesa in the outer archipelago. As the moonlight beams on the dark waters, look for phosphorescence from ctenophores (comb jellies) and other plankton on the surface. If you are lucky, you may see them appearing to encapsulate dolphins in a glowing shield as they bow-ride with the boat. 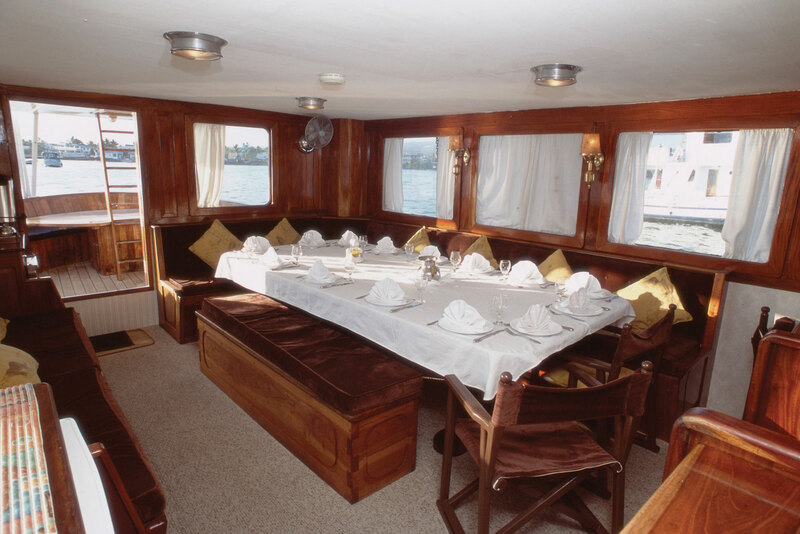 The Samba Samba is granted the rare opportunity to visit Marchena, making your experience truly unique to our voyage. Although landings are not permitted, it is one of the best places to snorkel with tropical fish, rays, sea turtles, sharks, and eels. You may also find hermatypic (reef building) coral formations here, an uncommon sight in the rest of the archipelago. During your navigation to and from Marchena, you sail through some of the most whale-rich waters in the region; so keep your eyes on the horizon and your binoculars ready! After breakfast, you land at Puerto Velasco Ibarra for a ride up to the highlands in a chiva (a small open-sided bus). You’ll stop to climb Cerro Alieri where many steps will reward you with a breathtaking view and the chance to see the famous medium tree finch. The fantastic landscape of the highlands is decorated with lichens and epiphytes. Floreana also holds compelling human history that includes pirate caves, European settlers, the islands’ first citizen birth, and unexplained disappearances. Share a wonderful lunch in the highlands with Claudio Cruz and his family, providers of many of the organic foods that you’ve enjoyed on board. 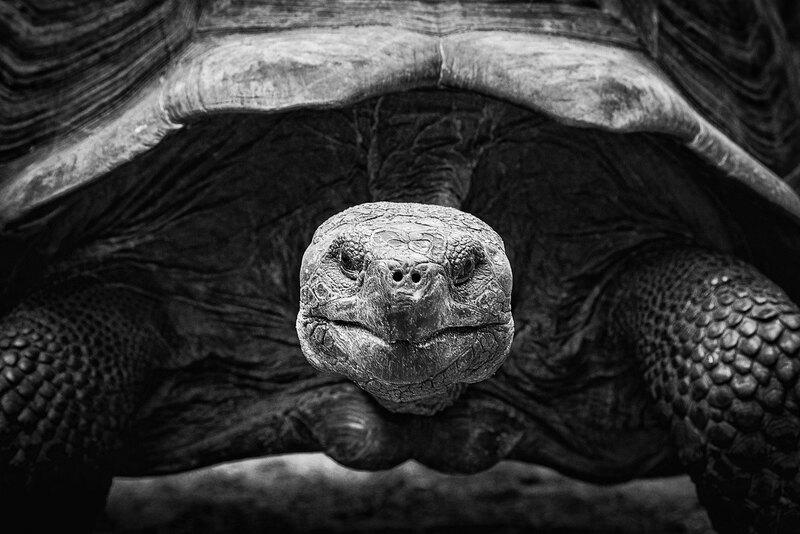 You’ll also have the opportunity to photograph a group of giant tortoises that are kept in a large enclosure. After returning to the Samba, you will sail to one of the best spots in the world for snorkeling – Devil´s Crown. You normally see rays, sea turtles, surgeonfish, parrotfish, jacks, wrasses and many other tropical fish. 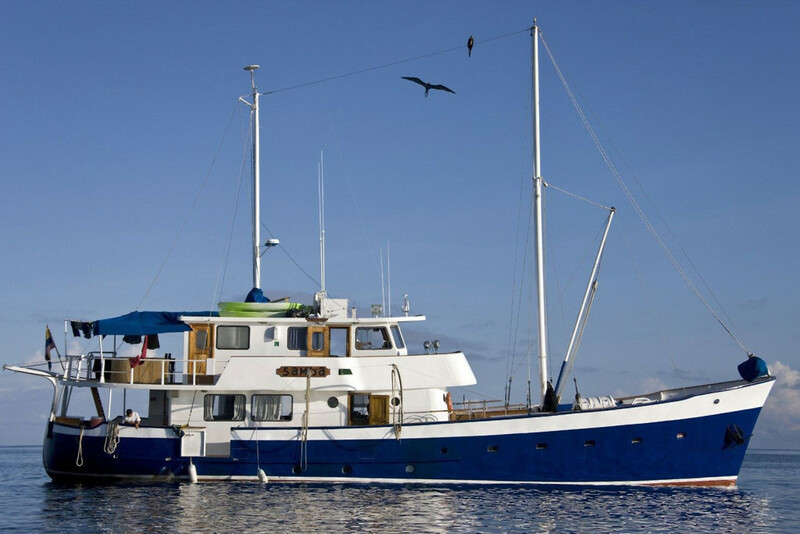 This afternoon, you’ll navigate to Santa Cruz Island for a quiet dinner in Academy Bay. Accommodations for the nights of May 11 through May 13 and May 28. Meals from breakfast on May 12 through breakfast on May 29, except meals listed in Not Included section. Airport transfers in Quito on May 11; on May 29, your hotel is across the street from the airport. All airfare, airport and departure taxes, and excess baggage fees. International airfare ranges from $500-$1,000 from the USA to Quito, Ecuador (UIO), plus approximately $672 for the Quito-Baltra round-trip flights. Lunch and dinner on May 28. Gratuities – tipping is, of course, discretionary, however we suggest budgeting about $650-$780 total per participant for the entire tour. Average temperatures range from the low to mid-60’s °F at night up to the 80’s °F during the day. The water temperature averages 70–74°F. Average temperatures during your mainland excursion range from nighttime lows in the 50’s °F to mid 60’s °F to daytime highs from mid 60’s °F to low 80’s °F. Walks on shore vary from short strolls on the beach to a few miles over broken and uneven terrain. 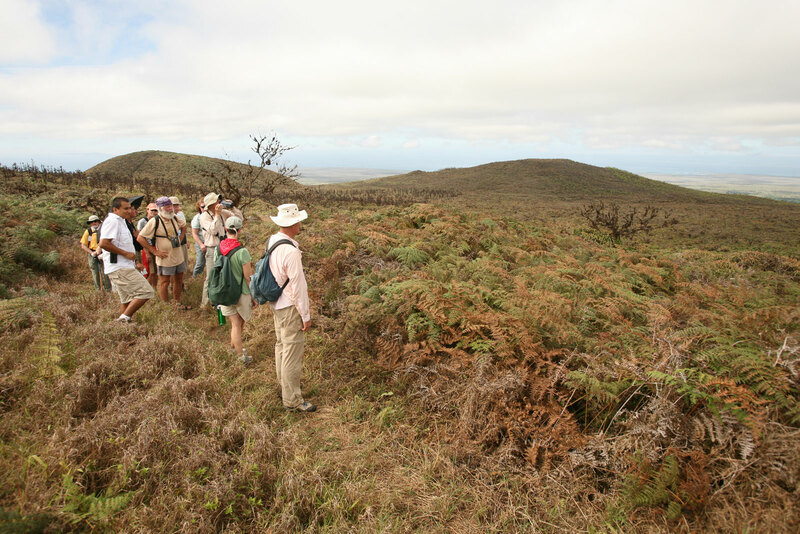 Those who are not accustomed to walking long distances will still enjoy most activities as you travel at a pace that allows you to see, appreciate, and photograph the unique nature of the Galápagos. If you anticipate struggling with the walks, plan to do some hiking beforehand to get in good condition for the trip. You must be comfortable going up and down stairs on board and getting in and out of the panga (small boat). The more fit you are, the more you will enjoy your time in nature! Snorkeling is not mandatory but is a significant part of the voyage as you are in the water everyday, sometimes twice a day. Experience is not required but proficient swimming abilities will allow you to fully enjoy this activity. 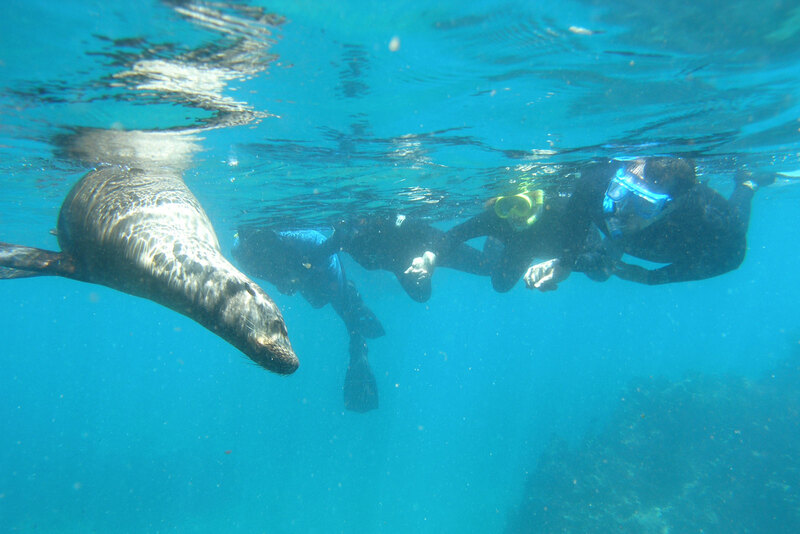 Most snorkeling will be panga-based, sometimes over deep water so it is not an ideal place to learn to snorkel, especially if you are not comfortable or are intimidated by these conditions. Getting some experience in advance will be beneficial, however, the Samba crew will always assist you. Please contact us if you have any health concerns that may make this trip challenging. Flights you (or a travel agent) book: Arrive in Quito, Ecuador (UIO) no later than the night of May 11. Depart from Quito (UIO) anytime on or after May 29.